Marcella O’Grady was born on October 7, 1863, in Boston, Massachusetts, into an affluent and liberal-minded family. Her parents, Thomas and Anne O’Grady (the former, a renowned Boston architect), strongly believed in the right of women to pursue an education and were a constant source of support and encouragement to Marcella, as well as to her older sister and brother. Unlike her sister, who became a nun at the age of eighteen, Marcella opted to take a more secular route, first by attending the non-denominational public high school, the Boston Girls’ High School and then by attending the Massachusetts Institute of Technology. In 1885 Marcella made MIT history by being the first woman to graduate from the college with a concentration in biology. O’Grady’s thesis director at MIT was the young, yet already highly respected, biologist William Thompson Sedgwick. In her last year at MIT, Sedgwick introduced O’Grady to another rising star in the field of biology, a friend of Sedgwick’s, Edmund Beecher Wilson. Both Sedgwick and Wilson became mentors to O’Grady and were influential in the development of her scientific career. After two years of teaching at the Bryn Mawr School O’Grady was awarded the Fellowship in Biology for 1887-1889 for advanced study at Bryn Mawr College. It was extremely rare for a woman in the 1880s to be accepted for graduate study at a university or college, and even more rare for a woman to be given the opportunity to pursue a Ph.D. O’Grady was made an exception to this rule, in large part due to her distinguished reputation and work ethic, both during her time at MIT and during the two years she spent at the Bryn Mawr School, as well as the support of the Dean of Bryn Mawr College, M. Carey Thomas, who was vocal proponent of women’s right to attain a graduate education. At Bryn Mawr College, O’Grady pursued the fields of comparative zoology and embryology, and was advised by E.B. Wilson and Frederic S. Lee who, like William Sedgwick and Edmund Wilson before them, would become O’Grady's life-long friends and mentors. 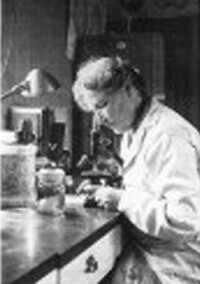 Part of her Ph.D. program included extensive laboratory work, which O’Grady conducted at the Marine Biology Laboratory at Woods Hole in Massachusetts. This aspect of her study was the most important and interesting to O’Grady. She had a deep desire and need to carry out her own original investigations and would pass along that passion to her future students, many of whom would follow in her footsteps and carry out their own research at Woods Hole in the years to come. The trustees of Bryn Mawr were so impressed by O’Grady’s work—which she discussed in a paper entitled The Origin and Significance of Kupffer’s Vesicle—that they named her the “Fellow by Courtesy” and renewed her appointment for the 1889-1890 academic year. O’Grady was more than happy to accept the invitation, however, in June of 1889 Isabella Mulford resigned as teacher of Botany at Vassar, which provided for O’Grady an opportunity that she simply could not refuse. O’Grady arrived at Vassar at the perfect time, as Margaret Wright explains: “As part of an administrative reorganization, the Department of Natural History was about to be divided into two separate departments: biology and geology/mineralogy. After her first year…O’Grady, now promoted to associate professor, became the sole member of the new Department of Biology, with freedom to design the curriculum as she saw fit.” A big part of her curriculum focused on the students conducting their own original research and becoming engrossed in the scientific method. In an interview conducted in 2006, Margaret Wright recalled that O’Grady strongly believed that, “women should go into science; women should be considered as men, equally.” Wright explained that during her time at Vassar, O’Grady “did everything she could to involve women in natural sciences…she wanted the students become scientists, not just be interested in what scientists has to tell them.” Because of her dedication, O’Grady was promoted in 1893 to full professor, a title that empowered her to further expand the areas of biological study offered in her curriculum. One of the courses in O’Grady’s curriculum was the senior seminar entitled “Higher Biology,” which O’Grady described as “…a history of the development of the Biological Sciences with special reference to the growth of the evolution theory.” Although Darwinism had been discussed in lectures in the past—particularly those of one of O’Grady’s predecessors, James Orton, the first Vassar professor to teach the theory of evolution, who left Vassar in 1877—O’Grady’s “Higher Biology” class was the first course devoted to the subject. O’Grady’s insistence on teaching the theory of evolution created some unease among the more conservative members of the Vassar administration, but the objections of a few could not sway O’Grady from teaching what she, and many others within the Vassar community, believed to be the accurate account of the origins of life, and O’Grady was able to continue teaching the course. 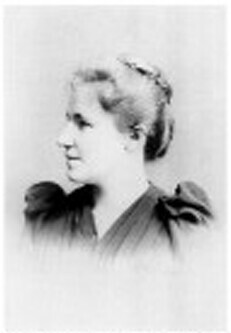 In 1896 O’Grady was admitted to study science at the University of Würzburg in Germany, the first woman ever granted acceptance to the science program at the university. O’Grady was drawn to the University of Würzburg in large part because of the work of the Director of the Zoological-Zootomical Institute, Theodor Boveri. Boveri was working on the theory that chromosomes were the key to passing on genetic information from generation to the next, and believing his theory to be the correct one, O’Grady did not hesitate to take leave of Vassar in order to study along side Boveri. Initially, she only planned to leave on sabbatical for the 1896-1897 academic year; however, she would remain in Germany until 1926 and would never return to teaching at Vassar. At first, Boveri was not pleased to be working with O’Grady. Indeed, unbeknownst to O’Grady, he was opposed to the idea of women receiving higher education and was even more opposed to the idea of a woman working with him on his research. Boveri’s coldness towards O’Grady was short lived, however, and in a letter to his sister-in-law shortly after meeting O’Grady he wrote, “I now have an American lady zoologist in the institute, she is not really pretty, but quite attractive. I enjoy her company and must sometimes restrain myself: she does not care for frivolity.” O’Grady’s seriousness and Boveri’s lightheartedness seem to have complimented each other very nicely, and by June 1897 the two were engaged to be married. On October 4, 1897, at the Convent of the Good Shepard in Troy, New York, Marcella O’Grady became Marcella Boveri. Shortly after the wedding, the two returned to their work in Germany. Boveri in her lab at Albertus Magnus. On August 14, 1900, Boveri gave birth to her first and only child, Margret. Before Margret was a year old the Boveris left for Naples to conduct a series of experiments, leaving their young child in the care of nursemaids and relatives in Switzerland. Both Marcella and Margret would later write that this separation was one of the major causes for the disconnect between mother and daughter that plagued their relationship for much of Marcella’s life. In addition to the work she did with her husband, Marcella was also very active in the politics of Würzburg University, particularly in the University's policies towards women. She convinced the university to admit any woman who was qualified to any department she wished to study in and was active in recruiting promising American scientists. One of the women who came to study at Würzburg was a former student of Boveri's at Vassar, Edna Carter, who came to Würzburg in 1904. Carter was awarded a Ph.D. from Würzburg in 1906 for her work on the energy of X-rays. During her two years in Germany, Carter and Boveri spent a lot of time together and established a friendship that would last the rest of their lives. In 1912 Theodor Boveri was offered the position of director of the new Kaiser Wilhelm Institute for Biology in Berlin-Dahlem. However, severe illness in the spring of 1912 prevented him from taking on the added responsibility, and he regretfully declined. Boveri’s health continued to deteriorate and in the fall of 1914, he was hospitalized. He remained in the hospital until his death on October 15, 1915, from complications due to his decades-long battle with tuberculosis. Marcella was convinced that her husband’s death could also be attributed to his constant stress and worrying over the First World War. Boveri remained in Germany all throughout World War I and converted her home into a make-shift hospital, where she and a number of her colleagues tended to wounded soldiers. After the war ended, her American friends urged her to return to the United States. However, Boveri felt Germany was her home. A lifelong music lover, Boveri was very active in the classical musical scene of Germany all throughout her life there. In 1920 she organized a Beethoven festival, and was one of the originators of the annual Mozart festival held in the baroque palace of Würzburg. The 1920s were also an important time for Boveri’s daughter Margret, who, having studied Germanic and English history at Würzburg, began her doctorate work at the University of Munich in 1925. 1926 Boveri sailed to the United States for what was supposed to be a short visit with her sister. While in the United States, she met one of her former students from Vassar, Elisabeth Woodridge, who had married Charles Morris, the former Dean of Yale University. Elisabeth Morris informed Boveri that a newly opened liberal arts college for women in New Haven, Albertus Magnus College, were looking for a woman of distinction to establish and run their science department, and having spoken with Morris about Boveri, were very interested in having Boveri take on the responsibility. At first Boveri declined the offer. However, because of her acquaintance with Charles Morris, Yale had “…assured her that all the resources of the Osborn Zoological Laboratory and the Yale libraries would be available to her is she came to New Haven.” Boveri saw the gesture as a sign of respect from the scientific community, which led her to accept the Albertus Magnus position on February 17, 1927. Within two months of her arrival in the United States…Boveri had established the general pattern of the next sixteen academic years…she kept alert to developments in the ever-changing field of biology, though she did no further research herself. She went to professional meetings both at home and abroad…For years she attended nearly all of the Ph.D. thesis presentations in zoology at Yale as well as the weekly seminars. Here, indeed, was a strong, resolute, late Victorian woman keeping abreast of her field. During her final years at Albertus Magnus, the threat of the Second World War loomed heavily on Boveri’s mind and work. The situation was made even worse, when a misunderstanding threatened the life of her daughter Margret, who was working as a journalist for the left-wing German publication Frankfuter Zeitung. In October of 1940 Margret came to New York to report on the American response to the war in Europe and to get an idea of whether or not the United States would join the war on the side of Britain and France. Two days after the attack on Pearl Harbor on 7 December 1941, Margaret was apprehended, taken to Ellis Island, and later interned at White Sulphur Springs, Virginia, as a citizen of a hostile state. She was deported in May 1942, landing at Lisbon. Beyond a telegram announcing her safe arrival there, Boveri had very little news of her daughter until after the war ended. This ordeal was particularly heartbreaking for Boveri, who had finally come to have a good and understanding relationship with Margret, after years of disagreement. Fortunately, Margret survived World War II unharmed, and enjoyed a very successful and influential career as a political journalist until her death in 1975. In 1943 Boveri retired from Albertus Magnus, but she continued to live on the campus until 1946 when her failing health forced to her move to the Convent of the Good Shepard where her sister had worked. She remained there in the care of the sisters until her death on October 24, 1950. Margaret Wright writes of Boveri: “As a scientist, woman teacher, and friend, Marcella O’Grady was a role model. She set the same high standards of quality for her students that she demanded of herself: critical thinking, industry, accuracy in observation and expression.” The fact that many of Boveri’s students would go on to become respected scientists, themselves, is a true testament of Boveri’s legacy and contribution science, feminism, and the institutions that were wise enough to have her as a member. Margaret R.Wright, "Marcella O'Grady Boveri (1863-1950): Her Three Careers in Biology", Isis, Vol. 88, No.4 (Dec., 1997). Interview with Margaret Wright, December 2006.